An insidious trend is impacting authors, writers, poets, and all creative individuals everywhere. As a result of the Amazon.com review process, virtually anyone can post anything about any intellectual property at any time. Such postings can be made independently of whether or not one has actually, say, bought and read the book, or has anything coherent to say about it. In Amazon’s quest to provide a forum for users, all reviews (those thoughtfully written as well as those that represent vicious attacks on the book or author himself) are considered fair game. Amazon’s belief is that a diversity of opinion benefits all. Does it? Suppose you have written a book that’s taken you months or years of your life. You’ve painstakingly researched and/or experienced everything that goes into every page. On a bright, sunny day, your book is finally listed on Amazon.com for all to see. Several reviews begin to appear. Suppose they’re all favorable: you receive ten 5-star reviews. If only it were that simple. First, you no longer average 5-stars. Worse, Amazon, has a feature associated with its reviews called, The most helpful positive review and The most helpful negative review. When visitors click on the reviews to your books, a box pops up. On the left they see the positive review that people have deemed “most helpful.” On the right, they see the one scathing review that somebody posted about your book. Amazon gives equal weight to the good reviews of your book and the one bad review of your book. John’s Notes: Here, for example, are the two reviews that show up on my 1001 Ways to Market Your Books page on Amazon.com. The critical review on the right is so superficial and nit-picky that it really isn’t helpful, yet 14 out of 18 people say they found it helpful! Even with over 100 5-star reviews for my book, this one review can kill sales. Even with over 100 5-star reviews for a book, one superficial bad review can kill sales. A scathing review about your book that has little merit, posted by someone with a hidden agenda, is going to make a greater impression on many visitors than ten other sterling reviews – it’s simply human nature, and people love gossip. People like to read fan-zines to see what celebrities are up to, and what dirt people have dug up on them. Likewise, people want to see what dirt there is on your book. In some cases, the one scathing review begins to metastasize. Your book could have as many as sixty 5-star reviews, and perhaps the most prominent among them includes 20 people who comment as to whether or not the review was helpful. Oddly, the one scathing review, often, will end up having more comments. Oddly, one scathing review on Amazon will often end up having more comments. John’s Notes: It’s interesting to me that the two most recent critical reviews of 1001 Ways were both written by political activists who, it seems, having only two responses to anything: fantastic or horrible — always based on a superficial reading of the book rather than a true reading. It’s also interesting to note that neither review was based on a Verified Purchase from Amazon. Two critical reviews were based on a superficial reading of the book rather than a true reading. Suppose your book is 250 pages and is self-help in nature, with at least two or three tips on every page. Over the course of your entire text, you’re offering readers more than 700 tips. A reviewer comes along and says that all the tips are useless. Can this possibly be true? Or, the reviewer says “nothing new here, it’s all been said before, none of this is practical”, etc. Such broad sweeping critiques of your book’s information and tips are unfair to you and all subsequent site visitors. Yet, Amazon will take no steps to police agenda-driven reviews unless there is foul language, an ad hominem attack on the author rather than the book material itself, or extenuating circumstances. Meanwhile, agenda-driven reviews remain in place not merely for this week, this month, or this year, but forever. The more people who click on and indicate that the review was “helpful” or “unhelpful,” the higher the probability that the review itself will appear in the Google rankings when someone enters your name or the name of your book. 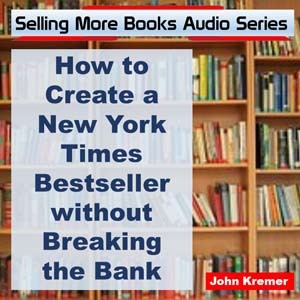 John’s Notes: Here’s a classic example from the “most helpful critical review”: This book really lost me when it told me that if I win a Nobel Prize that will increase my sales. It also didn’t help that the book told me that if I were reviewed in the New York Times, that would increase sales, too. 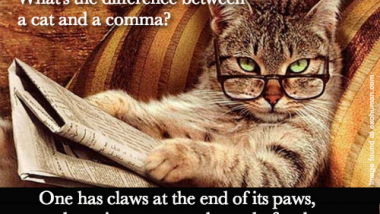 It also reminded me to spell and punctuate properly, and to carry business cards. It won’t shock anyone to learn that I knew all this already. It only got more superficial from there. Note that the first two statements were true and simple observations that many new authors would not know. They were accompanied by detailed advice on how to apply and win awards in one case and detailed advice on how to get book reviews in the other (things that I would be surprised that the reviewer already knew). The same with the other two pieces of advice which also noted WHY you should spell correctly and how and why to carry around those dang business cards, but the reviewer easily skipped over those details. Critical reviewers on Amazon generally skip the details and present the superficial. 4) has a personal vendetta against you. A personal vendetta could arise from an employee who you let go last year, the lover you broke up with, someone who wants something that you have, someone who felt slighted by you, or someone who is simply jealous of your success. 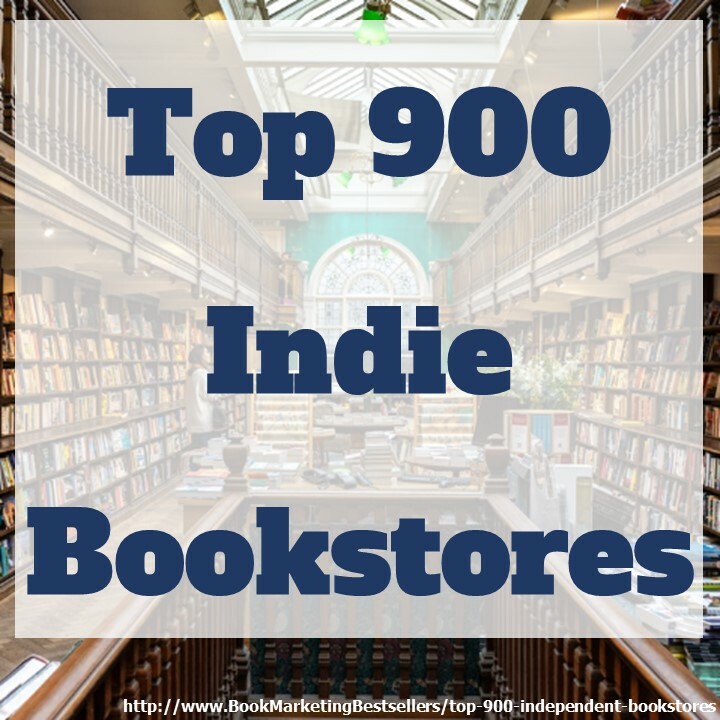 I am not making this stuff up – you only have to visit a handful of books on Amazon and follow through on the observations. The more popular a book or its author, the greater the propensity for agenda-driven reviews to appear. This Amazon-fostered process of being able to post a review regardless of merit and then allowing others to vote – “helpful or not helpful” or “like or dislike” – obviously has been mirrored all over the web and is now a standard feature on tens of thousands of shopping sites, blogs, artistic reviews, and social media sites. So, everyone gets to vote about everything, at any time, with few barriers to entry. You can create an anonymous email account and begin posting away. The Tower of Babel has been re-built online, and it’s not pretty. The Tower of Babel has been re-built online, and it’s not pretty. 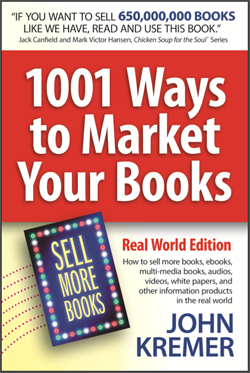 John’s Notes: Here’s the beginning of the other critical review of 1001 Ways to Market Your Books: I began reading 1001 Ways To Marekt Your Books and all the author can state is that authors will never make money on their book, but must use their book merely to sell other stuff. I began getting sick after a few pages and absolutely could not continue. This author has latched onto this mentality that has been taking this world toward that world we see in the sci-fi novels where there is advertising and sales of junk all around us with no escape. This is scary. This reviewer really didn’t read much of 1001 Ways to Market Your Books or he/she would have noted that the primary focus of the book is to sell more books. And more books help to build your business as an information purveyor, speaker, consultant, etc. But none of that will happen until someone buys your book. That’s why, if the reviewer had bothered to read more than a few pages, he/she would have seen that the focus of the book is on selling more books. I certainly don’t want a world of junk. I want great books. Note that the reviewer only read one or two pages, because I do not go on and on about authors using their books to sell other stuff. I make the observation and then move on to provide tips on selling books. Although, to be complete, I do have a chapter at the end of 1001 Ways that goes into how you can profit from spin-offs of your book. It’s interesting, as an aside, to note that the reviewer misspelled the book title — probably because he/she was so eager to get on with the ranting. Suppose you want to address the agenda-driven reviewer who, without merit or conscience, has completely gutted your book. If you reply in the comment section, you are likely to start a chain of counter-replies that will actually increase the Google ranking of this particular review. Your name and the name of your book generally rises and falls based on how many others link to it, regardless of the quality of what others might have to say about you. As long as anyone can anonymously post reviews regardless of merit, particularly on the world’s most popular websites, even if the comments border on libel and defamation, they stay. I don’t advocate that all email addresses be verified and that no one be permitted to have an anonymous email address. Reasons abound for having the ability to make inquiries without revealing oneself. Yet, Amazon, Google, and all the other top vendors ought to be more rigorous in what they allow to be posted. The ramifications of even one mean-spirited, agenda-driven review are global and, as far as we know, eternal. The ramifications of even one mean-spirited, agenda-driven review are global and eternal. John’s Notes: Several years ago, the top review that showed up day after day for my 1001 Ways to Market Your Books was full of outright lies. The reviewer kept saying I advocated things I did not advocate. The things he said I wrote were nowhere in my book. I actually searched through the manuscript just in case I inadvertently wrote something I didn’t mean to write. But the lines he quoted were not in my book. I petitioned Amazon to remove the review, but never received a response or deletion of the inaccurate review. I re-petitioned many times. Again, silence on the other end. Amazon doesn’t have an obvious process for correcting these kinds of problems, and it can really be frustrating when you get inaccurate and very misleading reviews. Sadly, this review and voting mechanism, found on many websites, rarely offers a way for authors (or anyone else) to correct misleading information or other things that are damaging. Amazon doesn’t have an obvious process for correcting inaccurate or misleading reviews. The Book Publishing Industry on the Rocks? I frequently criticize books on my blog but have stopped putting negative reviews on Amazon for books in areas I write about to avoid retaliation. Several jealous/enraged competitors have given me negative reviews and it was obvious that they never read the books they were panning. I was successful at getting one negative review taken down by Amazon UK because the reviewer (probably a rival author) used a fake quote about something that simply wasn’t in the book. Maybe Amazon UK is a little better about this than Amazon US. I do wish Amazon would take down reviews that have nothing to do with the book, like people who are just complaining about Amazon. You missed another issue with reviews that can really mess things up. There are those pathetic authors who go to services like Fiverr and hire people to post reviews and to vote reviews up or down, etc. Amazon will act on those type of reviews if you can provide any evidence that they are fake paid reviews, as they are against their terms of service, but of course that’s almost impossible to do. I have experienced a similar situation. In my case, the negative review was posted by someone who indicated they were 9yrs old, not even old enough to comprehend the content of the story. So apparently, there is no minimum limit for those who can post reviews.